The Derbyshire festival appeal will launch on April 13th 2019 at the Annual General Meeting of the Provincial Grand Lodge and will run over a period of 6 years until 2025. The festival celebrates one of the corner stones of Freemasonry, charity, the objective is to raise £1.5 million in aid of the Masonic Charitable foundation - MCF. The MCF links the work of both the Almoner and the Charity Steward, supporting Masons and their families in their time of need. Sometimes this may be financial support, but is often the MCF linking those in distress with existing charities and support organisations who can offer specific assistance. 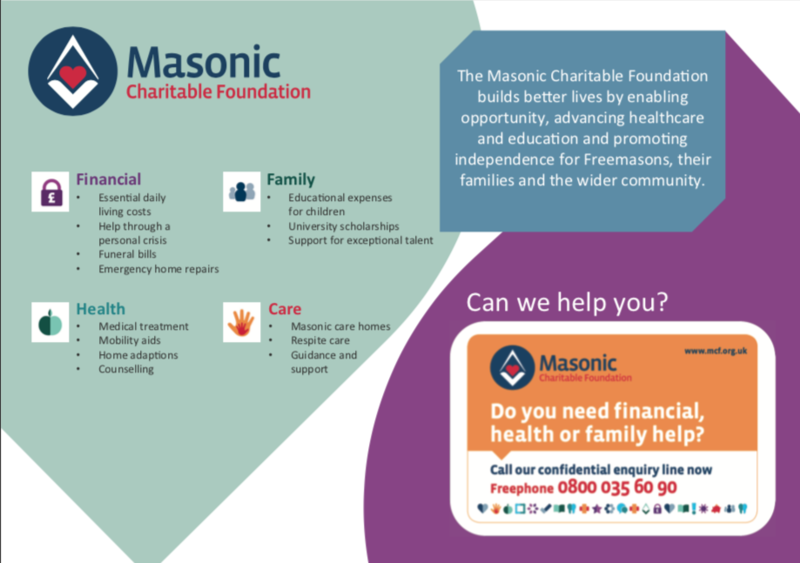 The MCF also offers support to local and national charities by providing grants and helping to build associations as well as raising the profile of Masonry. Thank you for all your support and donations towards our charity fund. Our current fundraising accumulated total as at Sat 13 Apr 2019 is shown in our thermometer gauge.